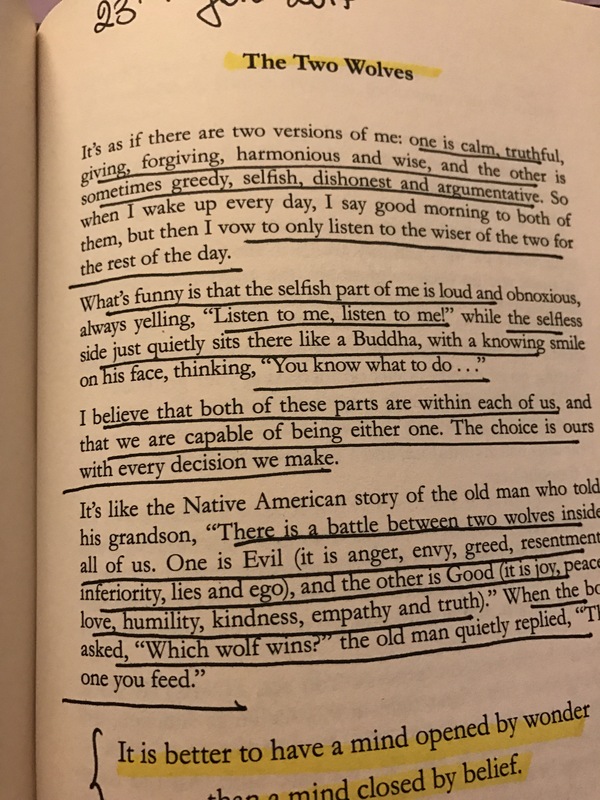 There is a battle between two wolves inside all of us. One is louder than the other. The positive and negative aspects of us that wake up in the morning and go to sleep at night. When you rise up in the morning what wolf clothing are you wearing? Now when you are about to sleep can you shed them off and recognise them for what they truly are? We know that our energy will flow in the direction of our attention. If you feed your fears they get bigger.Fear has been instilled in us since a young age , we are born with it. In the battle against fear we should change direction. Choose to trust the process, breath and fear will dissipate. Don t live in fear, live in trust and live with love.